I was supposed to do my niece E&apos;s makeup for her Grade-8 graduation this week, but work has called me away. Happily, though, E and I got some run-through time so I could show her the look and how to do it. 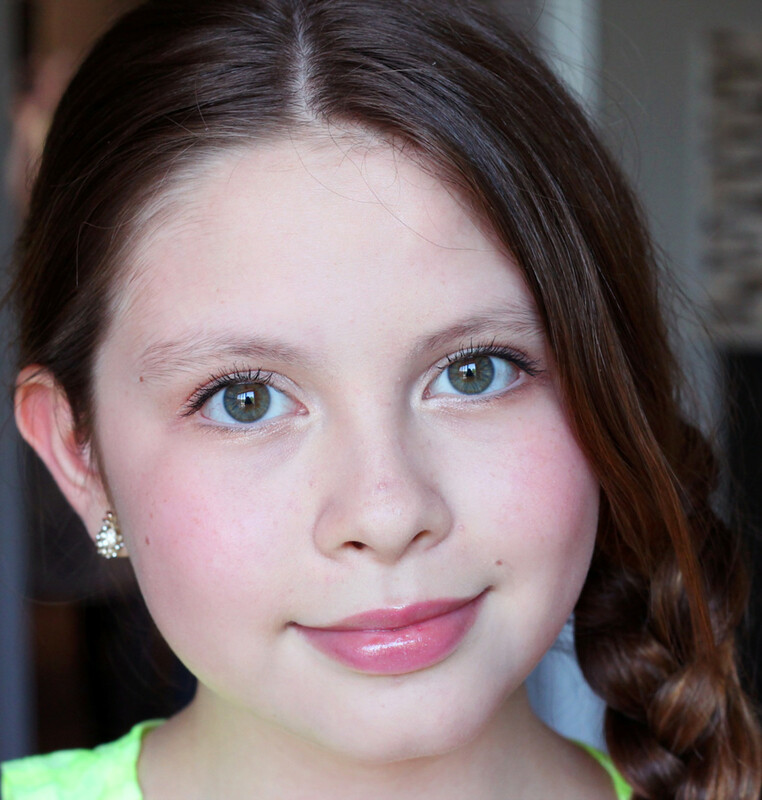 This fresh tween makeup how-to is backup for her to follow (Hi E! *waves*). Maybe it&apos;ll inspire your tween -- or you -- too? 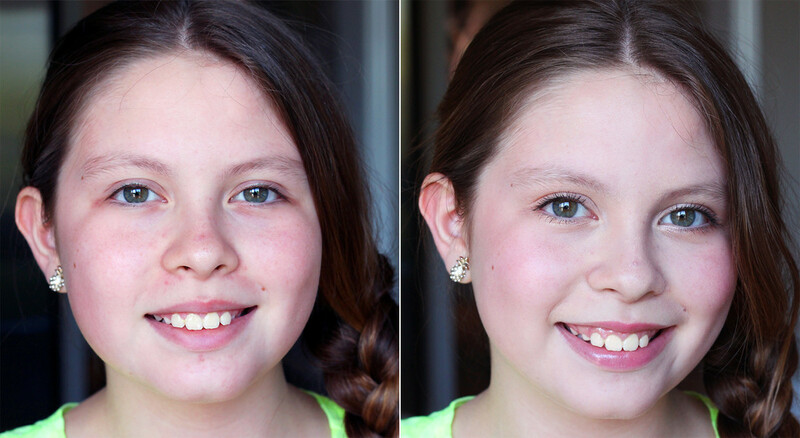 Age-appropriate tween makeup before and after. I know young girls want to wear lots of makeup because it&apos;s fun and they think they&apos;ll look older. Looking more grown up is why we all started wearing makeup in the first place. But the wrong makeup on a young face can look so – well, wrong. Trampy. On young faces, I like makeup to look simple and fresh, a celebration of naturally collagen-loaded skin and bright shining eyes while they still look that way... because they won&apos;t for long! 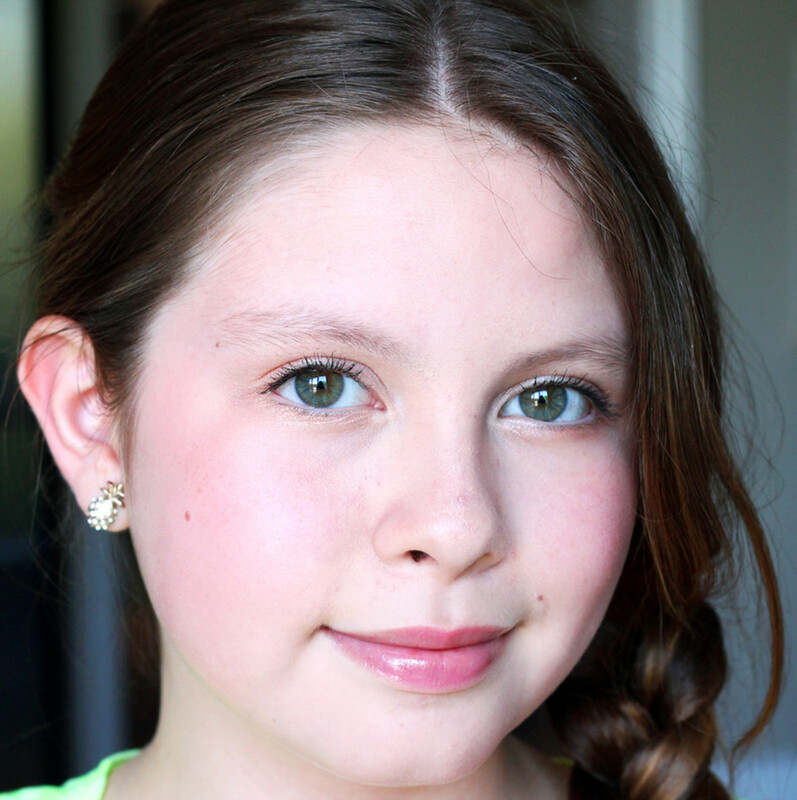 Age-appropriate tween makeup: here&apos;s what we used. This is E&apos;s fresh tween makeup kit, shopped from her own stash (and maybe a bit of her mum&apos;s). Here are your steps, E! 1) After cleansing and moisturizing, use your sponge to dab a little Benefit Big Easy BB Cream ($46 at Sephora) first on areas that need coverage -- that&apos;s your t-zone and any areas that are a bit red. Remember that word stipple? It basically means use your sponge to press a tiny bit of liquid gently into the areas where redness still shows through. Carefully blend the edges outward. 2) Rub your NYC Incredible Waterproof Concealer stick (about $6 at Rexall) in a small patch of the back of your hand. This is to warm the concealer up to make it more pliable, easier to use and blend. With a clean, small pointed brush, pick up some of what&apos;s on the back of your hand and apply a tiny bit to any blemishes you want to minimize. 3) Use a fingertip to swipe more concealer from the back of your hand, then press it into the skin around the base of your nose, and over the slight darkness under the inner corners of your eyes. 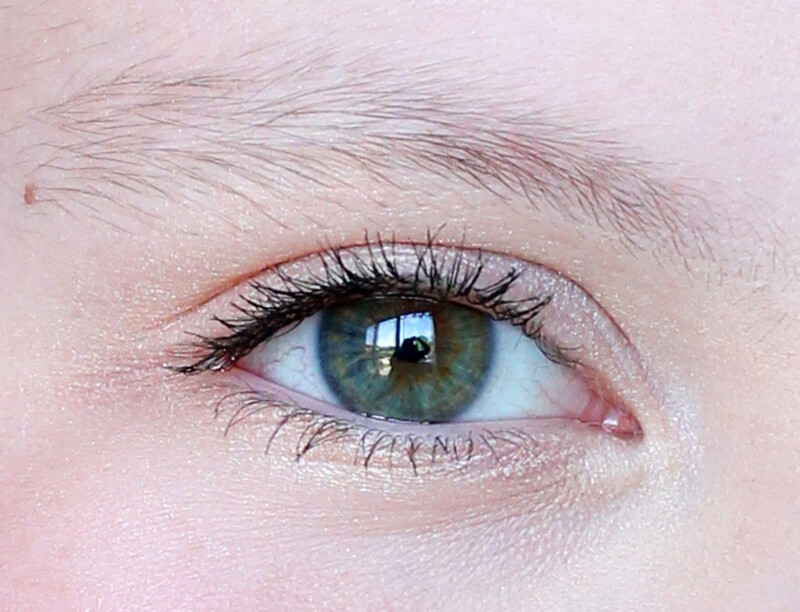 Age-appropriate tween makeup: natural brows, zero eyeliner. 1) Curl your lashes -- remember to squeeze the curler at the base of your lashes, then in the middle toward the tips. You&apos;ll get that pretty curve instead of a crimp that makes lashes stand straight up. Age-appropriate tween makeup: soft shimmery shades on your lids totally work for you! 2) Now for your Physicians Formula Warm Nudes shimmer strips ($16.79 at drugstores). Press your eye shadow brush into the shade marked number 1 (above), then lightly press the brush against a clean spot on the back of your hand to make sure your brush isn&apos;t overloaded. Then, starting at the outer part of your lids, gently but firmly press the eyeshadow brush against the skin, moving toward the bridge of your nose. After that, press a little along your lower lashline, starting from the outer edge and moving toward the inner corners of your eyes. 3) Press your eye shadow brush into the 2nd shade (above), dab it against the back of your hand, then press the shadow into place on the outer vee of your lids. 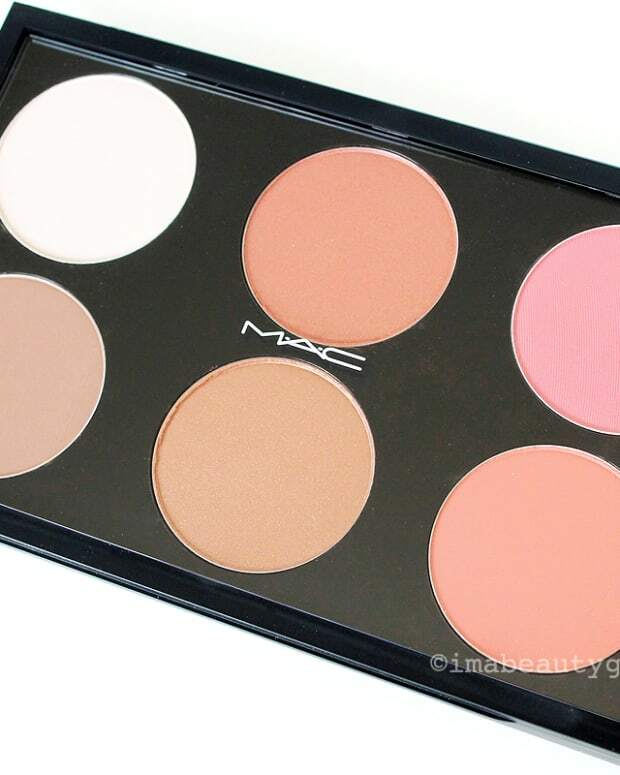 On your lower lids, run the same shadow over the lighter shade you&apos;ve already applied there. Then use your fluffy crease brush to blend any edges on lids or under eyes. 4) Dab the 3rd and lightest shade in the inner corners of your eyes as you&apos;ve already been doing (smart girl). 5) Use your Smashbox Full Exposure mini mascara to apply just one coat of mascara to your upper lashes. Without dipping the wand back into the tube first, carefully use the tip of the wand to apply mascara lightly to your bottom lashes if you like. Age-appropriate tween makeup: there&apos;s my sweet girl. 1) Dab the outer part of the roundest curve of your cheeks with a little Maybelline New York Baby Lips Lip Balm in Cherry Me, then blend gently. Pretty! 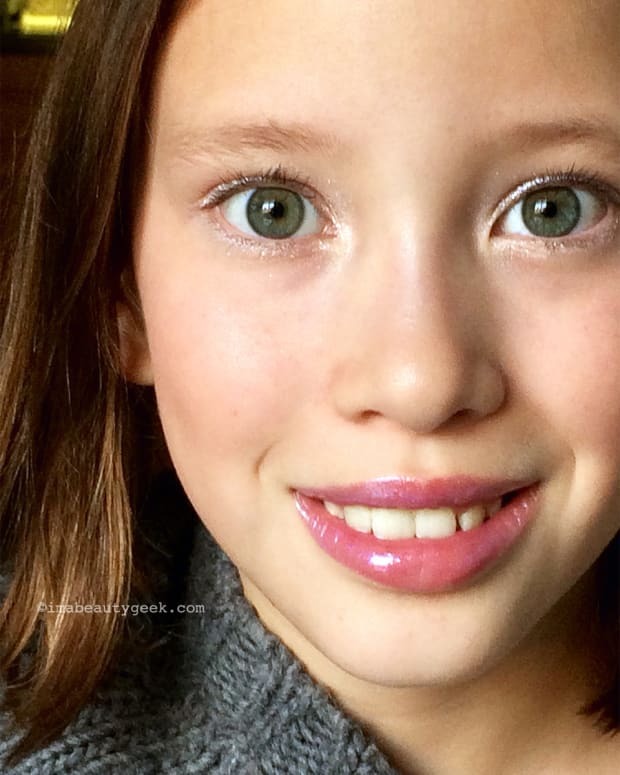 Age-appropriate tween makeup: tinted lip balm is your friend. 2) Make your own highlighter! 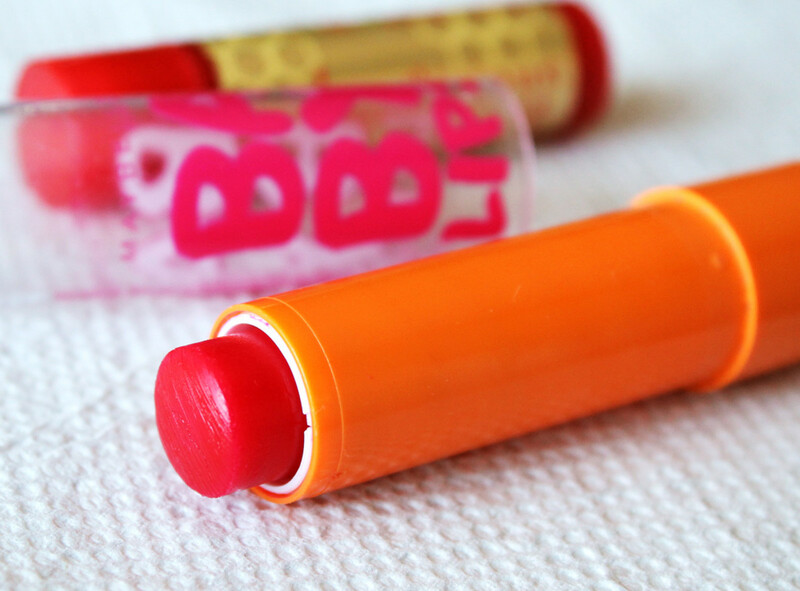 Rub the back of your hand with the clear Honeylicious lip balm stick. Now rub a clean fingertip in the lightest shade from the Physicians Formula palette, transfer it to the patch of lip balm on your hand and mix it together. (That&apos;s a favourite trick of makeup artist Grace Lee, who represents Maybelline). It dilutes the shimmer in the powder so it looks more like you than makeup. Age-appropriate tween makeup: mix champagne shimmer with clear gloss to get sheer highlight! 3) Dab/blend a little of that DIY shimmer on the tops of your cheekbones, on that bone just under the outer edges of your eyes. 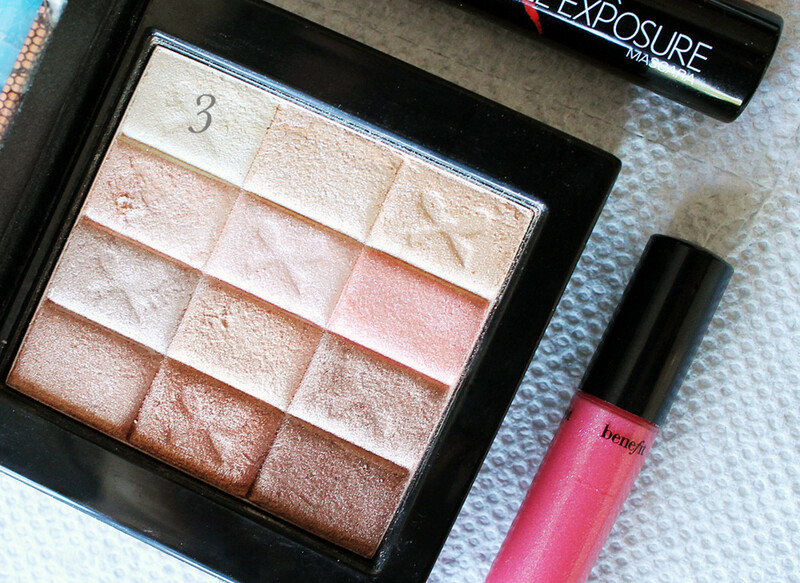 Age-appropriate tween makeup: shimmery sheer pink or watermelon gloss is so totally you. 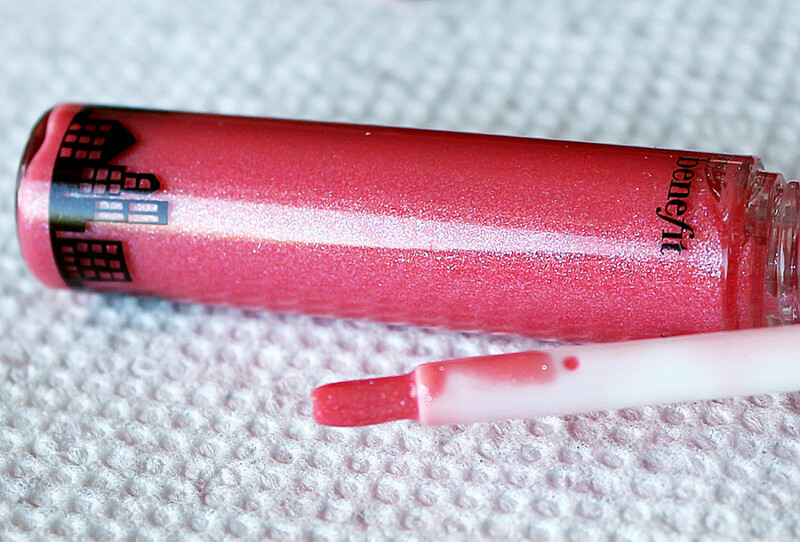 4) Finish with your Benefit lip gloss in Foxy Lady on your lips. Done! Age-appropriate tween makeup: that&apos;s a look that makes us older ladies look younger. Make sure your mum and dad take lots of pictures! Face pictures, too -- I wanna see! 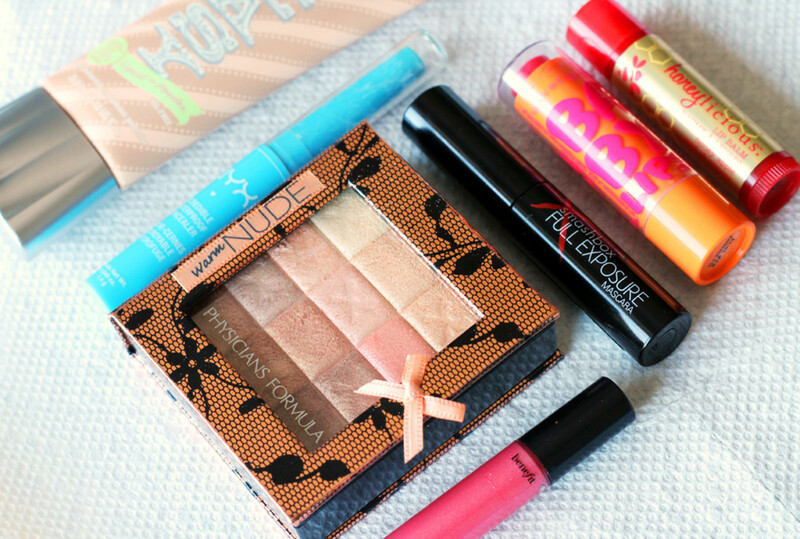 UPDATE: this post got a bit long, so I moved the 5 tween makeup rules to a separate post, here. What do you think? 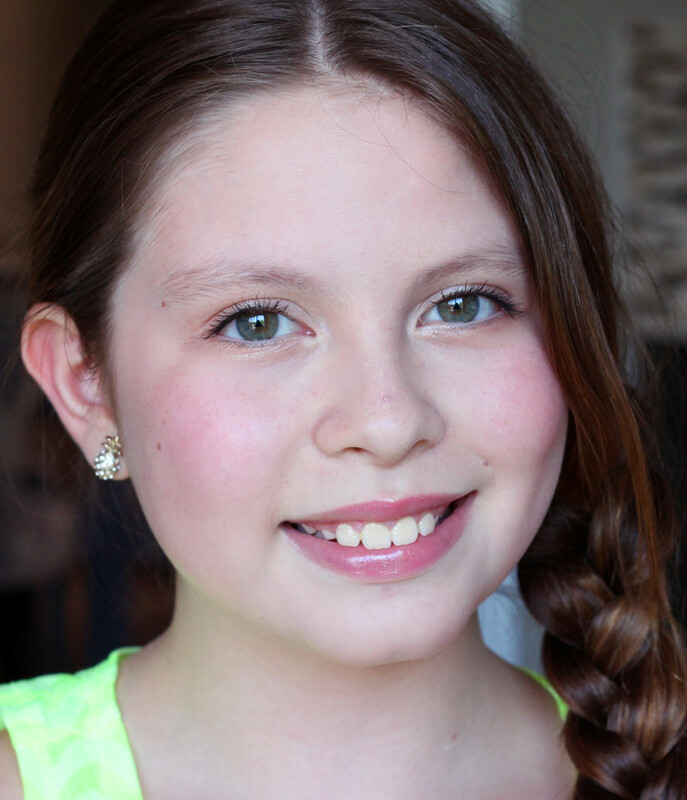 Do you know anyone who might try this fresh tween makeup approach?